The north-east is in the grip of violent Merseyside organised crime gangs. A top detective has likened drugs gang leaders to Oliver Twist’s Fagin as they spread their misery across the north-east. Detective Superintendent Lee Turner, of Merseyside Police, believes drug criminals are using “Fagan” like tactics of blackmail and extortion on vulnerable people to deliver their wares. Over the last few years, there has been a rise in reports of gangs from Merseyside flooding the north of Scotland with drugs, essentially muscling out local criminals. But speaking exclusively to the Press and Journal at the force’s headquarters in Liverpool, Det Supt Turner vowed that his team would continue working closely with Police Scotland’s North East division to disrupt the gangs. 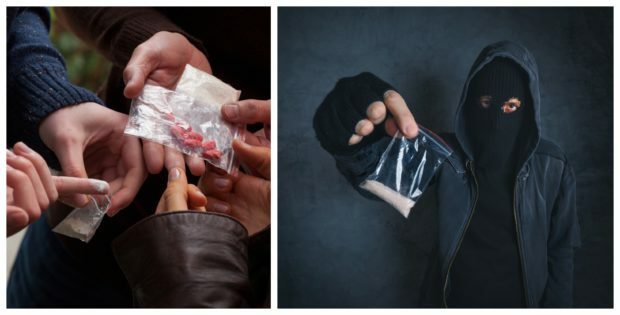 In recent months police have stepped up their efforts to tackle “County Lines” crimes, referring to crooks from major cities who expand their drugs networks to other areas. The term refers to the use of a single telephone number to order drugs, operated remotely. Det Supt Turner acknowledged there has always been a long link with Grampian due to “supply and demand” and suggested it was an ideal place for criminals “feeling the heat” in Merseyside to escape to for a busman’s holiday. He said: “Merseyside and Merseyside organised criminals always had a link to the north-east of Scotland, certainly from when I have been involved with serious organised crime. “The reason behind that is probably supply and demand. Up in Aberdeen I think you had significant issues around Class A drugs, and certainly the heroin boom of the late 1970s saw a significant increase in the use of Class As. “Merseyside organised crime groups saw an opportunity, maybe thinking ‘you know what, we’re not going to get a lot of threat from the local organised criminals up there so we’ll go up there and impose our level of violence on them, we’ll push our way in’ and they have just been in there ever since. “Fraserburgh has been a massive link and whenever they want to get out of the way for a little bit, thinking ‘it’s a little bit hot down here’, they’ll go up and way to the north-east of Scotland. “It used to very much be a case of ‘we’ve got our own problems dealing with threat, harm and risk in Merseyside and I’m sure the Scottish can deal with our criminals up there’. “Now there is a lot more collaborative work in and around county lines, being the latest phenomena, and we recognised that it is not just our problem from a metropolitan police force perspective. His comments echo those of Chief Superintendent Campbell Thomson last year, who said the north-east was not plagued by “crime families” like other parts of Scotland as they had been replaced by aggressive gangs from the north-west of England. As well as drugs, a high-profile spate of ATM raids, involving explosives, were also linked to a Liverpool-based group. Over the last few months, police have stepped up their crackdown on gangs targeting vulnerable people whose home they can take over as a base to sell drugs – a tactic referred to as “cuckooing”. Officers have been undercover in Fraserburgh and Peterhead to flush out the culprits. And last week, it was announced the campaign – Operation Corner – was being rolled out in Aberdeen. Det Supt Turner said it was a worrying practice that could put young people at risk of being tasked with running drugs. “The level of class A you can deal in an area like Merseyside is limited so they will look for opportunities elsewhere,” he said. “They will go into a specific area and say ‘right we are now dealing in this area, you are either joining with us and share the spoils or that’s it’ and so the local organised criminals probably become subservient to those exporter forces as organised crime groups go in and take over certain patches. “Where county lines differs a little bit is that the drug dealer would have to travel or get someone to travel up there and deal on their behalf. “That was difficult and it carries a risk because they’d have to carry drugs. Maybe they didn’t particularly want to live in Fraserburgh because they might live in Liverpool or they didn’t particularly want to deal with the local criminality up there so now they are just exploiting young people to do it for them. “It’s lucrative. There is evidence that suggests that one county line can earn up to £50,000 a week so it is a good business model. “You may think ‘well it is a good business model, why have we never thought of this before? Why have the crooks never thought of this?’ Well if you look at Oliver Twist it’s exactly the same. He added that new technological solutions were being implemented to disrupt the gangs and intelligence sharing with other forces was vital. He also urged people to look out for vulnerable people in their community who may be being exploited, and report it.